ISSA/INTERCLEAN Amsterdam is the ultimate platform for industry leaders and cleaning professionals to network and find the latest innovations, services, and technologies. The show provides a comprehensive overview of the market and the latest trends and developments featuring many interesting seminars and keynote speeches. Morclean attended the show between the 10th-13th May, and my did we enjoy it! Loads of business prospects were snatched up and we got a substantial amount of leads. We'll definitely be attending again in 2017. 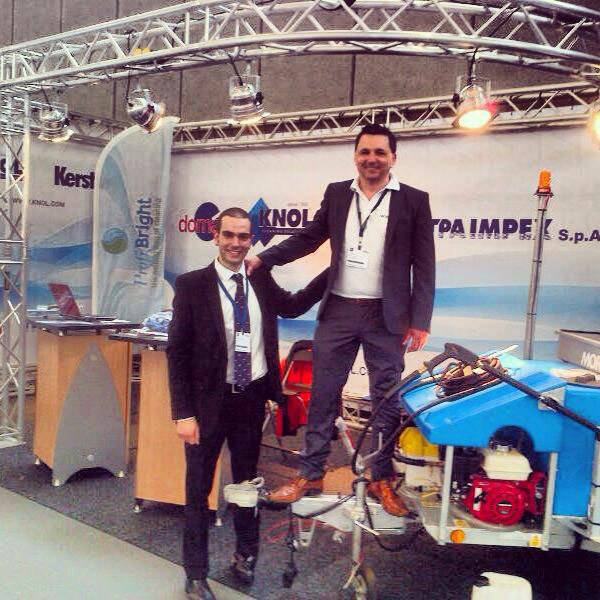 ISSA/INTERCLEAN Amsterdam is specially praised for its opportunities for networking and doing business, along with the overview it provides of the international market. Remaining, first and foremost, a networking event, the show brings together everyone working in the cleaning and hygiene sector for a series of formal and informal networking activities, built around a 50,000 sqm exhibition hall, with 800+ of the world's leading cleaning and hygiene suppliers exhibiting. Since the very first Interclean in 1967, the exhibition has developed to become the world’s leading trade fair for the cleaning industry. It has become the must-attend business event for cleaning professionals worldwide, and showcases the latest developments and market leading products, services, and solutions.